A smooth, strong, mini-crepe paper masking tape suitable for most paint masking applications. Designed for industrial use where a good paint line is desired and drying conditions range from air dry to an oven bake. Note: Should not be subjected to outdoor exposure or prolonged sunlight. Tape may become difficult to remove. 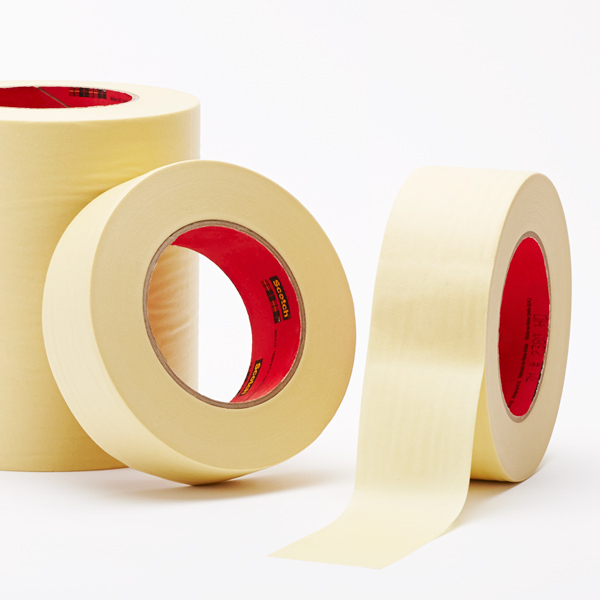 C12 (2380) masking tape is designed specifically for use where high temperature cure is required. It is conformable, hugs curves, goes on quickly and easily, sticks at a touch and stays put. C12 (2380) produces an excellent finished paint line. 101.6mm Hi-Temp Crepe Tape (4.